The Avalanche celebrates the holidays on CKUT’s Off the Hour. 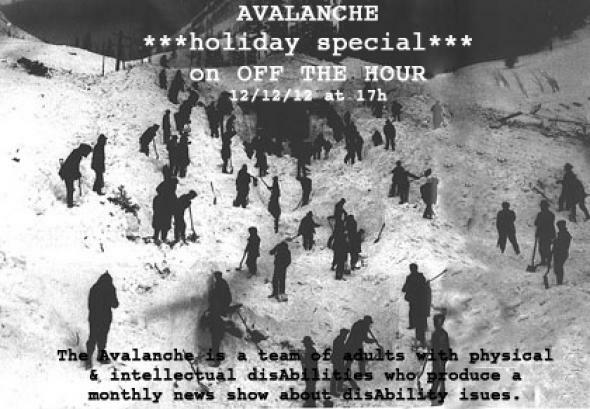 The Avalanche is a monthly one-hour news program hosted and produced by adults with physical and intellectual disAbilities all about disAbility issues, news, culture, arts and music. Tune in every second Wednesday of the month on Off the Hour at 5pm to hear them.